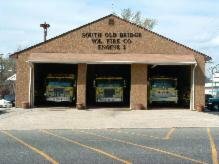 The South Old Bridge Volunteer Fire Company is a 100% volunteer department responsible for the protection of Fire District #3, located in Old Bridge Township NJ. We proudly protect an area of approximately 22 square miles with a population of 35,000 residents. Our district contains a mix of both commercial and residential occupancies, along with the major highways of routes 9 and 18. Our department provides fire protection 24 hours a day / 7 days a week to district #3 and also responds to calls for mutual aid from neighboring communities. The 42 square miles of Old Bridge Township are divided into four fire districts. The other three districts are served by the Cheesequake Volunteer Fire Company, the Laurence Harbor Volunteer Fire company, and the Madison Park Volunteer Fire Company. 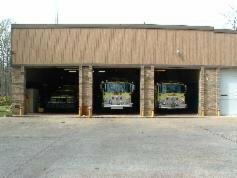 Our fire company operates out of three stations and has an ISO rating of 4. On a cold night in November 1947, a group of men were gathered around a pot bellied stove in Bedle's Garage discussing their short comings and making life miserable for the proprietor. Suddenly, some of them smelled smoke, at the same time time a mighty howl was heard. It seemed that a certain person had been standing with his back too close to the stove. The back of his top coat had been scorched, instead of the common phrase hot foot he really had a hot seat. Due to the swiftness and efficiency shown in extinguishing this fire they decided, then and there, they were destined to be experts in the field. 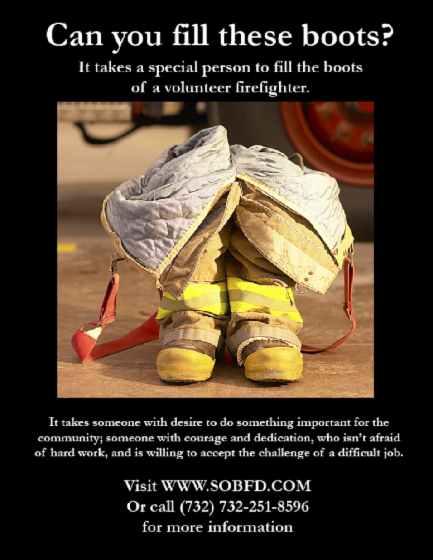 Thus the South Old Bridge Volunteer Fire Company Inc. was conceived. The Company's first meeting was held at the Willis school in South Old Bridge, then Madison Township, on November 14, 1947. In early 1948 they decided to build a firehouse, Engine Company # 1, and land was purchased on Appleby Avenue. Our firehouse was constructed largely by our members with some help from local contractors. 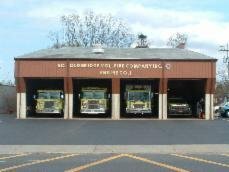 In 1962, in keeping with the expansion of township, the fire company found it necessary to expand its facilities. Land was acquired and Engine Company # 2 was built on Throckmorton Lane in the Sayrewoods South section. 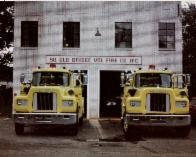 In 1969 further expansion was needed and Engine Company # 3 was established in temporary quarters at Englishtown Road and Van Tines Lane. The permanent firehouse was built on the same site in 1975.